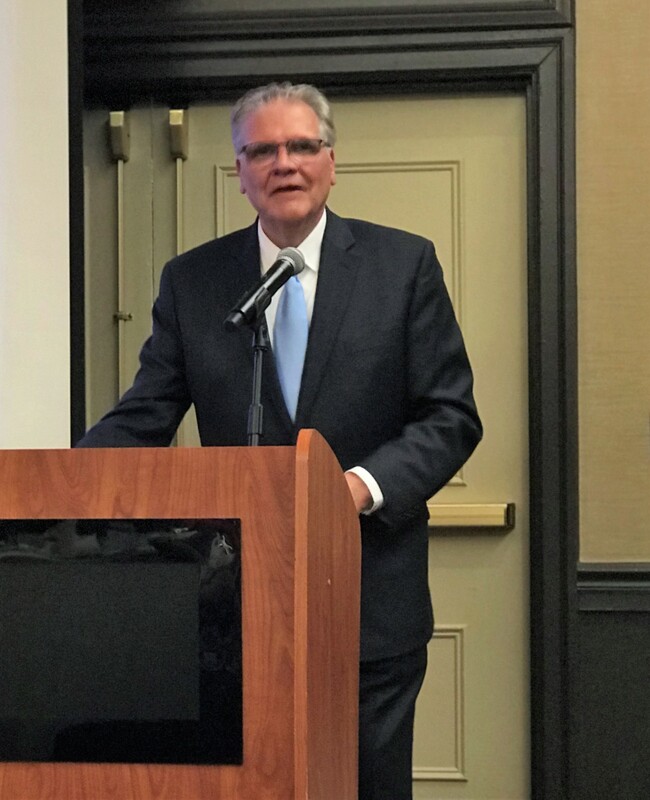 On May 10, 2018 members of The Arc of Massachusetts conducted their annual meeting and recognized Kevin J. Leahy, Executive Director of The Cooperative for Human Services, Inc. for his industry leadership in the field of human services and his lifelong achievements in sustained advocacy. The Arc of Massachusetts, founded more than 60 years ago, is a charitable organization which represents the interests of children and adults with intellectual and developmental disabilities. Kevin accepted the Leadership Award and addressed the audience by reminding them of the courage and passion of a small group of families, led by progressive mothers, who dared to envision a very different life for people with developmental disabilities. At a time when only institutionalization was offered, these families stubbornly held to their vision of a more integrated life for their children and refused to give in to social norms. Not only was the ARC born of this spirit, these families created the very building blocks that today support social inclusion for people with all types of disabilities. Kevin has over thirty years of clinical and management experience in the areas of human services, education and has been a lifelong advocate for people with disabilities. Kevin has held the position of Executive Director at the Cooperative for Human Services since 2000 and had significantly grown the organization into a multi-disciplined, privately-held non-profit company. Kevin is active in the Association of Developmental Disabilities Providers and is a past president of the Massachusetts Council of Human Services Providers and the Massachusetts Association of Rehabilitation Providers where he was the recipient of their Lifetime Achievement Award. Kevin served as a US delegate to the Vatican World Conference on Disabilities and continues his advocacy work through lectures, education and family supports. Each year seniors from Malden Catholic High School complete 90 hours of community service before graduation. 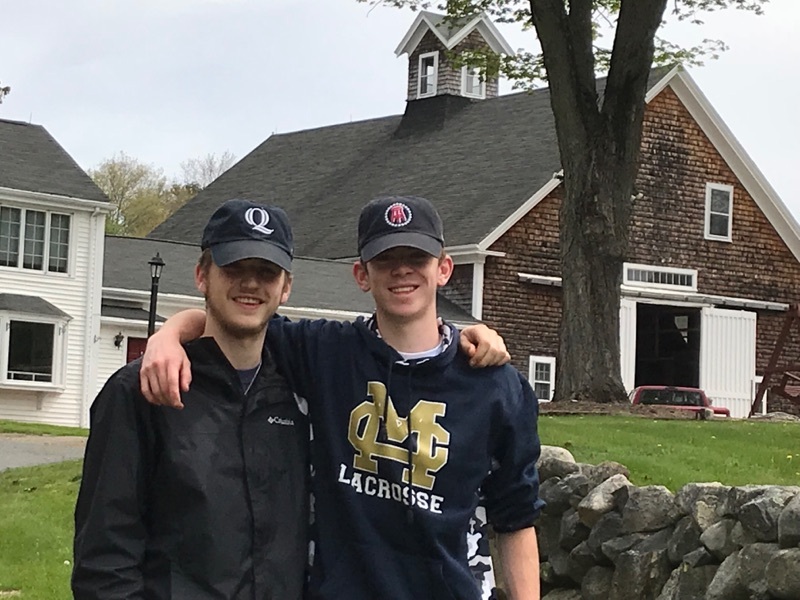 Seniors Rory O’Donnell and Aidan Walters-Doyle chose to help out at the CHS Jackson Farm for three weeks this Spring. Alongside Charlie Radoslovich, our new Farm Manager, these young men completed many tasks helping CHS prepare for the summer season, including building new organic beds for vegetable seedlings, planting flowers for the new butterfly garden, and helping to landscape a new CHS Rose Garden in memory of individuals that have passed. They also had a chance to get to know some of our farm animals including our Nubian goats, rabbits, and chickens. We are delighted that we were able to provide this opportunity for these seniors and look forward to future partnerships with Malden Catholic and other local High Schools. Thank you for all your help Rory and Aidan! On Saturday, April 21, 2018 Sydney Soloway, now a graduating senior at Dana Hall School in Wellesley, MA, organized and hosted the 4th annual SquashCares event. As a 14-year-old, Sydney was an avid squash player who also wanted to contribute to her community. Sydney began to recycle used equipment for those less fortunate but realized that the small rubber balls could not be reused. After some research, she discovered that she could sew the balls into fabric to create a weighted blanket. She gave the first blanket to her Autistic cousin who found it to be comforting and calming and this was how SquashCares was born. Soon after, Syndey approached CHS to become a recipient of some blankets and the relationship continued. 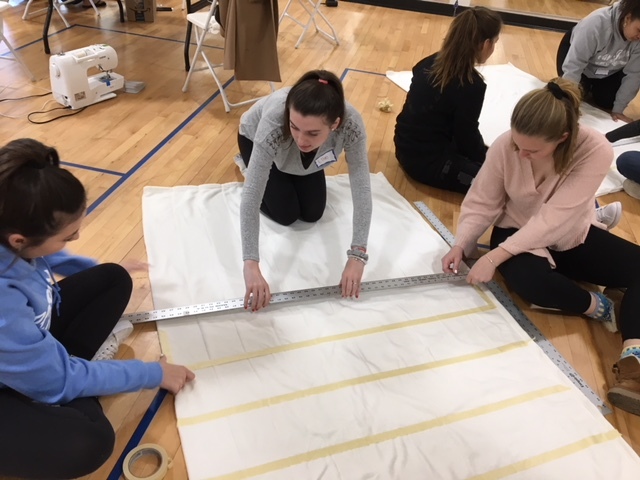 Each Spring, Sydney organizes a large sewing event at Dana Hall and volunteers come to assemble and sew the blankets, which are then donated to many non-profit organizations in New England. Gale Alles, CHS Operations Manager, participated and spoke to the volunteers about individuals supported by CHS who use the blankets with positive outcomes and thanked them for their participation. Sydney will graduate in June and continue her studies at Hamilton College in the fall. The non-profit she founded will continue on with the help of college groups, squash leagues and other supporters. To learn more about SquashCares visit https://squashcares.org/. Happy Mother’s Day from CHS! Do you enjoy the outdoors? Do you appreciate gardening and harvesting vegetables? Then we have the perfect volunteer opportunity for you. 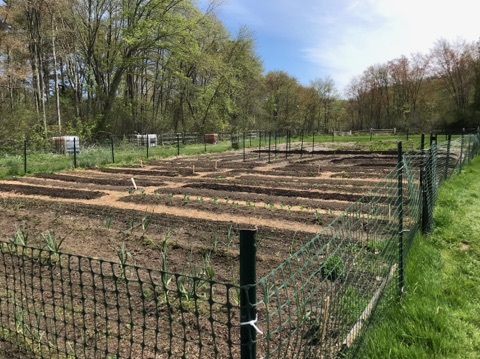 The Cooperative for Human Services is looking for volunteers to help us maintain our farm and organic garden. In return, you will be able to enjoy some seasonal vegetables, flowers and fresh eggs. Flexible hours! Contact Christine at 781-538-4626. 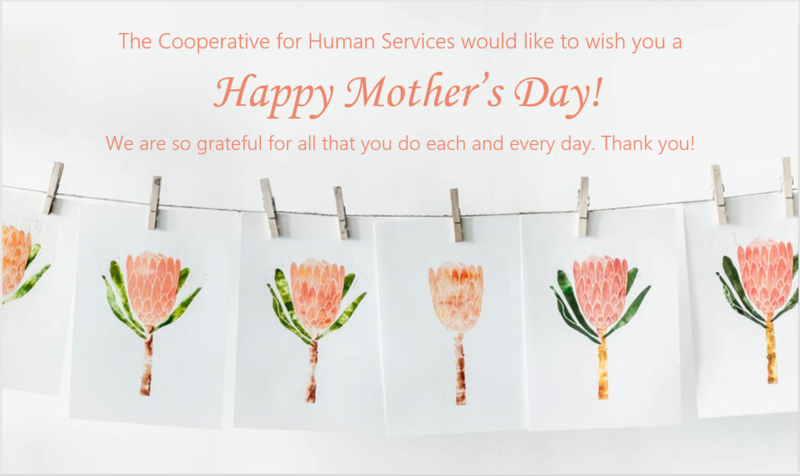 Keeping our Earth healthy is a top priority for the Cooperative for Human Services Inc. as it is the home of our wonderful individuals and employees. 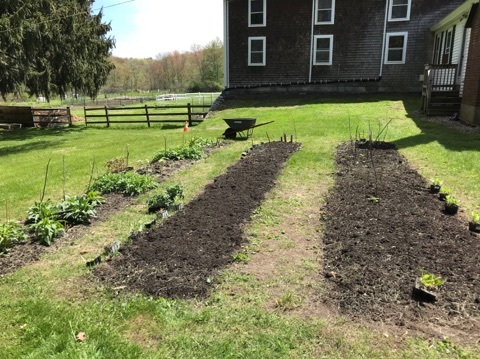 In order to best support our CHS family, we have started the annual planting in our organic garden. The garden provides us with an opportunity to share wholesome and pesticide free-fruits and vegetables. Our individuals enjoy a unique opportunity when they visit our garden and see where their food comes from. The garden is truly an extension of their back yard, and they often put in a helping hand for the harvest. 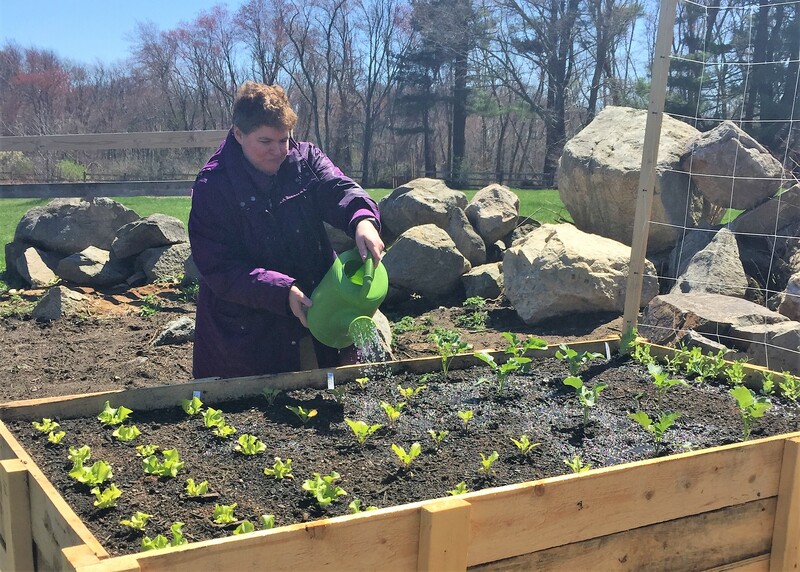 The CHS garden is just one of the ways in which we work to keep our Earth happy and healthy. The Co-Op Café is a CHS program that offers activities, entertainment, speakers, cultural celebrations, food tastings and other events, on a daily basis at our Dartmouth Street Center in Malden. The cafe is open Monday through Friday during scheduled daytime hours and also operates Wednesday evenings. The Co-Op Café was an idea born in the fall of 2017 to address the needs of individuals who were seeking more opportunities for adult learning and socialization. 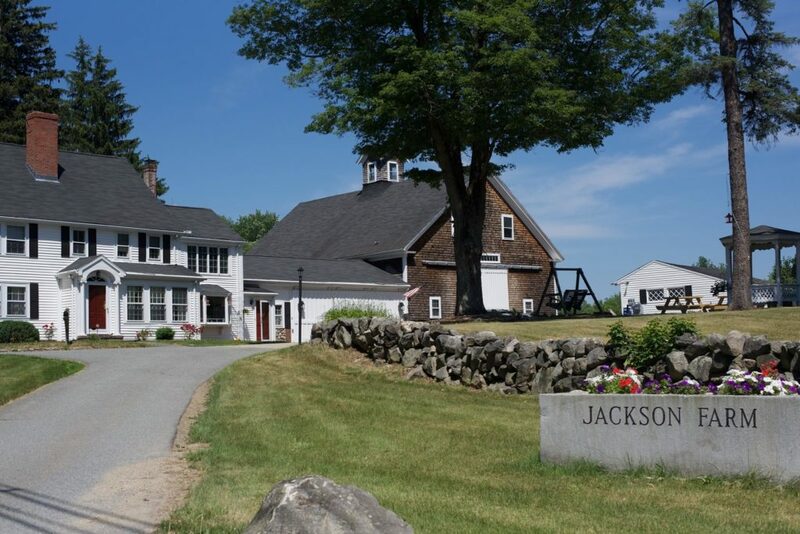 During the warmer months, individuals spend time in nature and participate in outdoor activities and events at the CHS-Jackson Farm in North Reading. 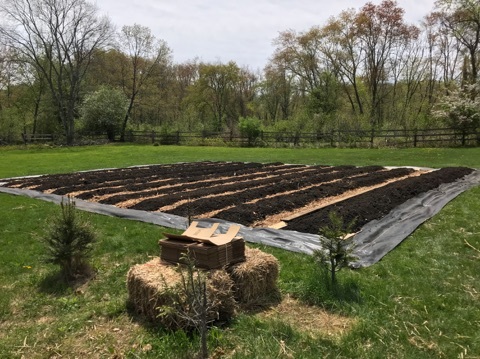 However, as Fall approached and the weather turned cooler, activities at the farm began to slow down, but the eagerness to engage and participate with others did not. A coffee house or “café-style” atmosphere seemed be the perfect environment to host a variety of experiences during every season and with input and approval from the individuals served, the concept was born. Over the past few weeks, we heralded in the much-anticipated start of Spring by announcing a new line up of events at the Co-Op Café. But before the last of the snow melts away, we would like to take a moment to reflect back on what has been a tremendously successful first season at the café. The company celebrated the Grand Opening of the Co-Op Café on January 10th with over 50 people in attendance! Then, on January 15th, the café held a week-long series of celebratory events based on, “I Have a Dream”, to honor Martin Luther King Jr. and his work in human rights activism. During the following two weeks, the café’s calendar was filled with offerings such as meditation and mindfulness classes, a participatory African drum circle, cooking workshops and live music. In the first month alone, more than 200 participants from the agency’s residential programs and Individual Supports Services program experienced the cafe. As a result, new friendships developed and old acquaintances were renewed. In February and March, some of the most popular activities from January were included in the schedule and new events were introduced including National Frozen Yogurt Day, karaoke night, and a live performance from a improv comedy troupe from Boston. After each session, attendees are encouraged to provide feedback on the program presented and are also asked to recommend future topics of interest. This information is collected and forms the basis for forward planning to ensure that the wishes and desires of the individuals are met. Part of our goal at Cooperative For Human Services Inc. is to support individuals with a safe and nurturing environment where they can continue to grow, learn skills and increase their independence. The Co-Op Café experience can be a stepping stone for many individuals as they continue to pursue full integration into their respective communities. The first season of the café far surpassed what was anticipated and clearly identified a need for more opportunities. We recognize the staff, volunteers and guest presenters who have come together to help make our opening season at the café such a success. No matter if it’s the tenth time or first time visiting the café, we are certain individuals will have a great time! At Cooperative For Human Services Inc., we are continually seeking opportunities to support individuals to engage in their communities in new ways. The Greater Boston area is rich in local resources that are low cost or free to residents and one such resource is the local town library. Despite the spread of electronic reading materials, today’s libraries not only focus on literacy but have evolved into gathering places for its membership. Libraries are inclusive, safe and accepting environments where individuals are free to explore hobbies and topics of interest. Most of the individuals we support have library cards, visit their local libraries regularly and participate in events offered there. We also found that many people enjoy listening to someone read aloud to them as it can be soothing and comforting. Since not all libraries offer readings, CHS approached several large libraries to collaborate on development of reading groups for our residential programs in Lexington, North Reading, Reading and Melrose. Individuals were provided with a personalized tour of their facility and all that their library has to offer: Ebooks, music, movies, art exhibits and cultural events. Each participant was gifted a copy of Chicken Soup For the Soul and a personal journal to document the books they read. Individuals were excited and interested to get started. They come together monthly to decide on book topics, listen to readings and participate in the book discussion at the end of each meeting. Reading, listening and learning at the library helps individuals feel included in their community and also brings the joy of books into their world. Are you compassionate, caring, and dedicated? Do you seek a deeper connection with people? Consider opening your heart to mentor a talented and smart young man with special needs living independently from his supportive family. We offer a beautiful, 2-bedroom, furnished family home in Melrose included as part of the compensation. This is a great opportunity for working professionals, single adults, couples, families, emptynesters, stay-at-home parents – YOU! Expand your household income with a monthly stipend for rent, food, recreation and caregiving. Candidates must demonstrate their knowledge of good nutrition, healthy food choices and preparations. Join the Cooperative for Human Services, Inc who has supported adults with disabilities for nearly 40 years and has consistently achieved the Commonwealth’s highest quality scores. Visit www.cooperativeforhs.org to learn more about us. Interested and qualified candidates, please send cover letter expressing why you’d be the best candidate for this unique opportunity, along with a current resume, to: cmarshall-bradley@cooperativeforhs.org. Our Direct Support Staff are excellent caregivers for the people we serve. They know each individuals’ story and what makes them happy in their lives. As a caregiver, our staff experience both joy and challenges. To support their work, we encourage our staff to be present in the moment and to practice mindfulness. Here are some tips offered by Julie Jackman, RN and CHS Healthcare Coordinator, that you can follow daily if you are providing direct care for someone you love. No matter where your day takes you, you can always make time to practice mindfulness. Don’t wait for your next trip to take advantage of your phone’s “airplane mode feature”. If you find yourself engaged in an activity that needs your full attention, you can switch your phone into airplane mode for a while so that you aren’t distracted by incoming calls or text messages. This will allow you to focus more fully on the time you spend with family, friends, and loved ones. If you get into the habit of turning your attention away from your phone you will find it becomes easier to focus on the present moment. It is difficult to be fully present when you are feeling exhausted. Practice healthy sleeping habits to ensure you are rested enough to get through each day. Aim for 8 hours of sleep each night and try to go to bed and wake up around the same time each day to help your body adapt to a consistent sleep schedule. The more rest you get at night, the more rested and present you will feel during the day. Another way you can work mindfulness into each day is by paying closer attention to the sights and sounds you encounter in nature. Take time to notice the way the sun warms your face through the window even on a cool winter day. Any opportunity you have to be outside, try to enjoy the sights and sounds of nature without distraction. Remember to take a few extra deep breaths of fresh air when you are walking outside. Meditation does not have to be practiced for long amounts of time to be effective. 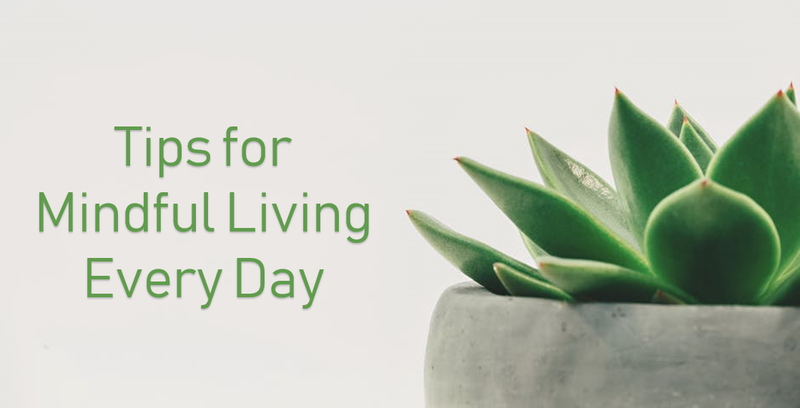 Try spending just a minute or two each morning to focus on how your body feels, breathe deeply, and stretch any muscles that feel especially tight. You can also try this exercise before bed, paying close attention to any extra mental or physical stressors that may have come up during your day. One of the best ways to work mindfulness into your day is by practicing mindful eating. So often we find ourselves hurrying from one place to the next without paying enough attention to the way our body tries to communicate with us. Each day you can make an effort to listen more closely to the signals your body sends when you are hungry or thirsty. This type of mindfulness will help you to better understand when you are hungry, how hungry you are, and what type of nutrients your body is craving. If you find that you do not remember to drink water until you are already very thirsty, try setting occasional reminders on your phone so that you can get in the habit of checking in with your body regularly.